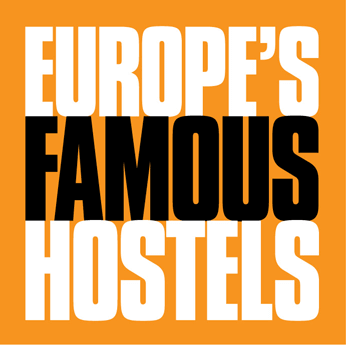 Europe’s Famous Hostels is an association of individually owned, independent hostels. We only accept the best hostels in Europe. The association was founded in 1995 when it was made up of just 5 members. As of 2016 we have grown to include 50 Hostels, both in Europe and beyond. Europe’s Famous Hostels’ purpose is to provide a recognisable stamp of quality in the Hostelling business. Our name comes as a guarantee that our customers will have a great stay at the best value; choosing a Europe’s Famous Hostel is choosing quality and great customer service. Each city has only one Famous Hostel and staying at a Europe’s Famous Hostel guarantees you’ll have a great stay at unbeatable value. Where a Europe’s Famous Hostel has not yet been selected, we strive to provide travellers with the best option that each of the 200 most-searched for cities have to offer. Thanks to our years of experience at the very top of the hostelling business, we can guarantee that any hostel suggested by us will be the best that city has to offer.